Cooperatives around the country have built on their long legacy of delivering essential infrastructure by starting to deliver next-generation Internet services. Here, we cover the basics of cooperatives in rural areas and then discuss the details of electric and telephone cooperatives that have already branched out into Internet service. Finally, we highlight the first Internet fiber optic cooperative and discuss how other communities have better Internet service through building their own networks. The most rural area of Missouri is getting a Fiber-to-the-Home network from the United Electric Cooperative, which has created United Fiber and is expanding across its footprint and to adjacent areas that want better Internet access. Chief Development Officer Darren Farnan joins us to explain why his co-op has taken these steps. We discuss how they are rolling it out - focusing on areas that need the service while respecting the telephone cooperatives that are within their electric footprint. The project has benefited from a broadband stimulus award and also incorporates fixed wireless technology in some areas. We discuss some of the economics behind the project and are sure to clarify that though the utility has needed some capital subisides to build the network, it does not need any operating subsidies to continue - it runs under its own revenue. And we talk about the demand for better, faster connections - it is much higher than most realize. 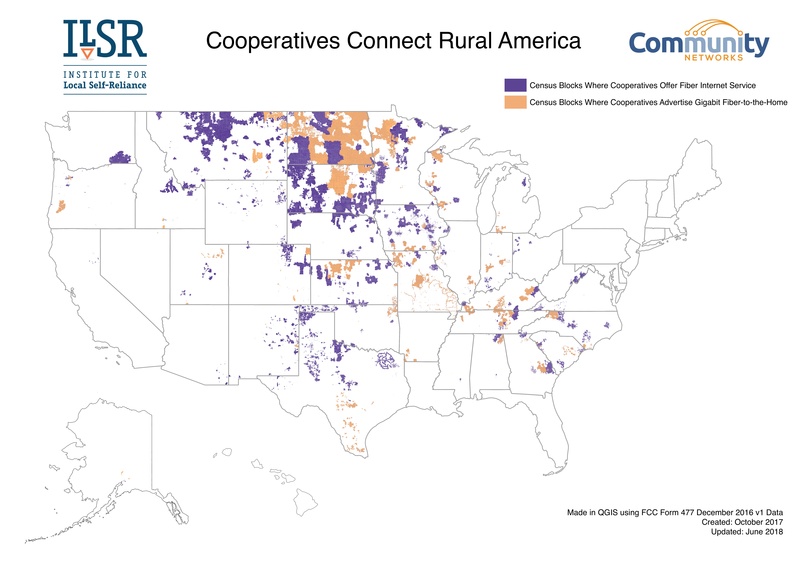 Rural electric cooperatives were essential to expanding electricity throughout rural America after private sector business models overwhelmingly failed to electrify our farms over many decades. Electric coops embody the spirit of local community and local concerns. Cooperatives often have decades of experience with project planning and implementation. We have seen electric coops use their own existing resources as a starting point to expand broadband access to their community. At the Calix Community Blog, there are two videos on electric co-ops, both in Missouri, that have taken on the challenge of providing broadband to their customers.